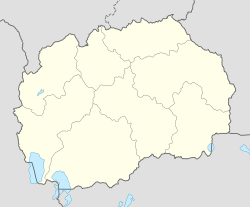 Kumanovo (Macedonie: Куманово [kuˈmanɔvɔ] ( listen)), is a ceety in the Republic o Macedonie an is the seat o Kumanovo Municipality which is the lairgest municipality in the kintra. Municipal institutions include a ceety cooncil, mayor an ither admeenistrative bodies. This page wis last eeditit on 13 Februar 2019, at 10:55.